Kent Sundling from Mr. Truck.com shows trailer owners how to measure tongue weight with the Weigh Safe trailer hitch in this informative video. Specifically, Kent uses Weigh Safe to properly balance a 5600 LBS loaded trailer being pulled by a GMC Canyon for a safe and comfortable ride on dangerously snowy highways through Rocky Mountain passes. What is Tongue Weight and What Does it Mean for Safe Towing? Tongue weight is simply the downward force that the tongue of the trailer exerts on the hitch that is connected to the vehicle. Too little tongue weight can cause the back end of the vehicle to lift which can result in a very dangerous condition known as trailer sway. On the other hand, too much tongue weight can cause the back end of the vehicle to sag which negatively effects the handling of the vehicle, the visibility of the driver, and the effectiveness of the vehicle’s brakes. 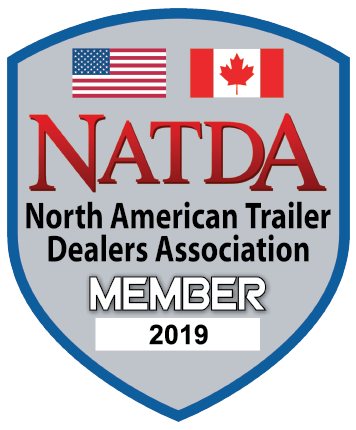 Weigh Safe – as well as most experts agree – that an acceptable tongue weight for any trailer is somewhere between 9 to 15 percent of the gross trailer weight (GTW). Therefore, if you are towing a 5000 lbs trailer, the tongue weight should be measured at approximately 500 lbs. Put simply, use the Weigh Safe drop hitch hitch. Traditionally before Weigh Safe, trailer owners had to find a bathroom scale, elevate it at ball height with a box or cinder block, and place the tongue directly on top. Not only is this method time consuming and inefficient, but it’s useless for heavy trailers whose tongue weight will surely outweigh the bathroom scale’s max-weight limitations. While there are additional methods to get around this, they are arduous and not very efficient. In comes Weigh Safe, an easy and effective way for trailer users to measure the tongue weight exerted on the hitch. Weigh Safe’s design is simple and self-explanatory – With a built-in scale, trailer owners simply need to know the weight of the trailer, apply the 9-15% tongue weight calculation described above, adjust the load within the trailer (either toward or away from the hitch), and note the reading on Weigh Safe’s scale. No external scales, no hassle.